﻿ Velvet Ice Cream - Ohio. Find It Here. He was only 15 when he came to America in 1903 unable to speak English. But that didnt stop Joseph Dager from striving for the American dream.And who would have imagined that just 11 years later, Joseph Dagers dream would be reached in the basement of a Utica, OH confectionery with an all-American product. But thats exactly what happened when Joseph Dager sold his first batch of hand-cranked vanilla ice cream and Velvet Ice Cream was born.2018 marks 104 years of business for Velvet Ice Cream. Founded in 1914 by Joseph Dager, four generations of Dagers have since run the company, which is located in Utica, Ohio on 25 acres of the perfect combination of wooded countryside and rolling, pastoral farmland. 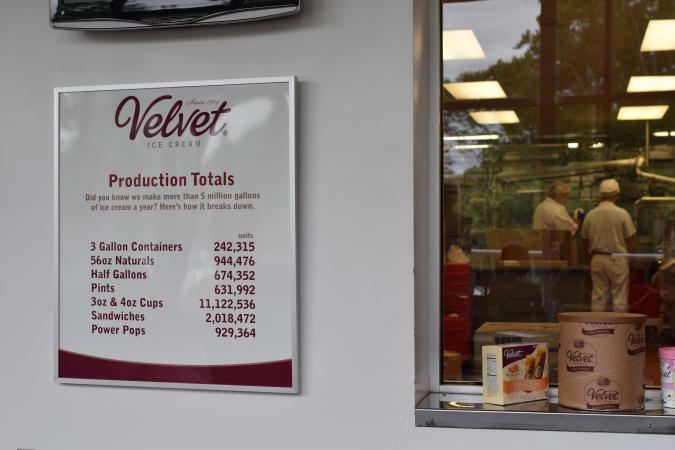 Still family-owned and operated, Velvet produces and distributes more than five million gallons of ice cream every year from its headquarters on the grounds of Ye Olde Mill. 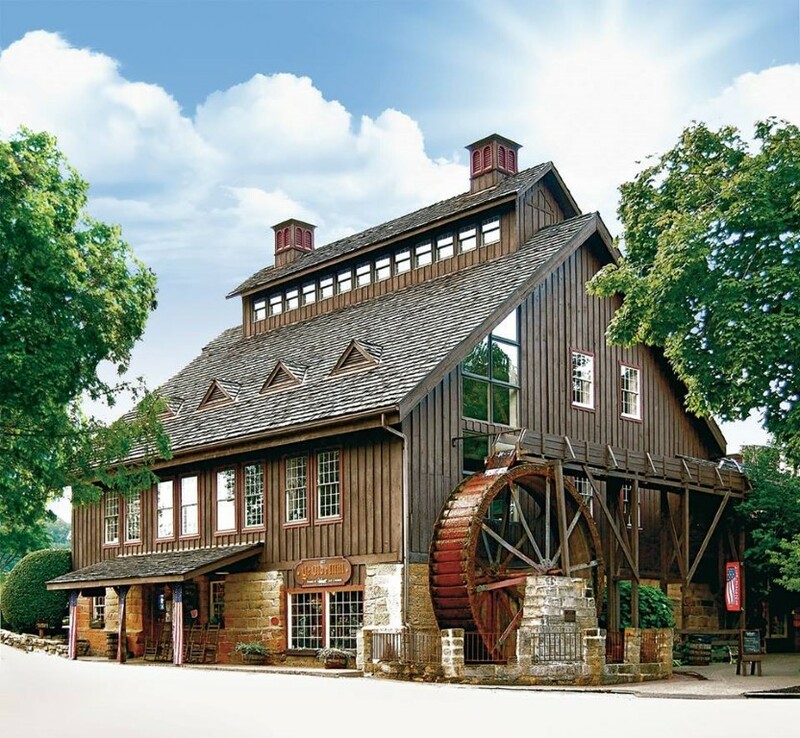 Ye Olde Mill also houses an ice cream and milling museum, a restaurant, playground, picnic area and catch-and-release fish pond. 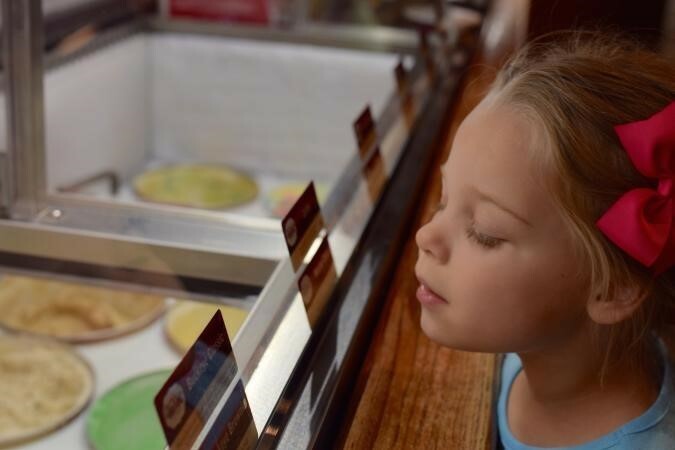 Named by Frommer's as one of Americas 10 Best Ice Cream Factory Tours, Velvet's Ye Olde Mill welcomes 150,000 visitors each year for tours, tastings and events. 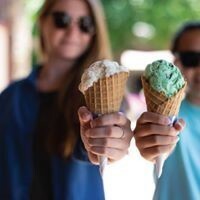 The annual Ice Cream Festival, group tour experiences and school learning field trips are among the many draws to Ye Olde Mill, which is open to the public April through October.